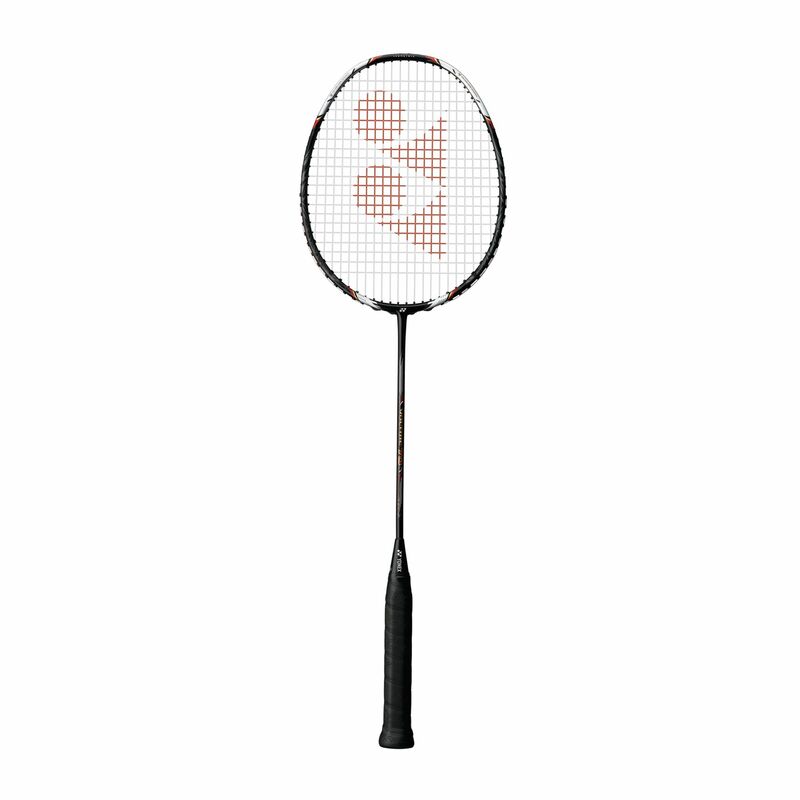 The Yonex Voltric 70 badminton racket has the new lightweight built-in T-Joint made from an epoxy resin. The material enhances the level of quality and performance by increasing the stability of the shuttle on the string bed and through the air. Tungsten inserts provide more than 10 times the relative density of graphite. 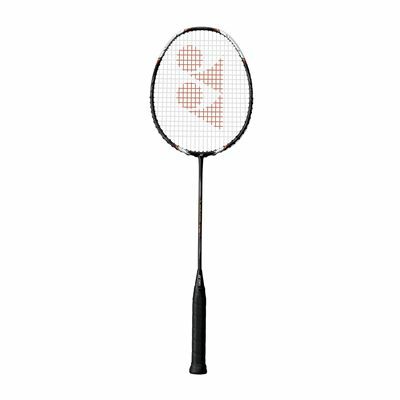 The Voltric 70 badminton racket incorporates an innovative Yonex technology called Sound Filter which uses new materials to reduce the high pitched and dull soundwaves and produces a louder and sharper sound on impact. The new Yonex single-pass grommet hole design provides more grommet holes at the 2 & 10 o'clock positions. This creates a high-performance stringing pattern that offers 7% more durability. The UltraPEF (Ultra Poly Ethylene Fibre) used in the Yonex Voltric 70 badminton racket’s shaft has stickiness and high shock absorption. The material is light enough to float on water, and the 1 inch across is able to hang up about 20 tons. The Aero-Box Vari Frame reduces wind drag compared with a standard air-flow pattern. This maximizes the power of the swing and the transfer of energy to the shuttle. The built-in Solid Feel Core cuts harmful miscellaneous vibrations at the impact. Joint: New built in T-Joint. Standard doubles racket for ideal use in front back attacking formation. Not an all-out singles racket but power and consistency is there so ideally for doubles players who want fast head movement (flexible shaft) with power (tri voltage system in head). All in all great all round racket! for submitting product review about Yonex Voltric 70 Badminton Racket.